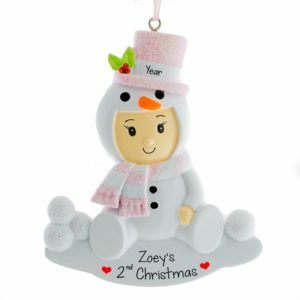 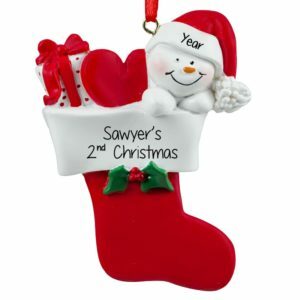 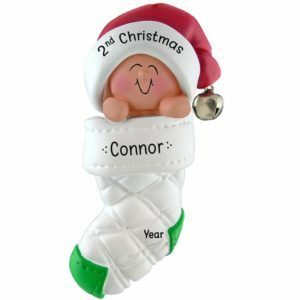 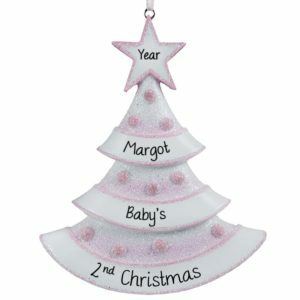 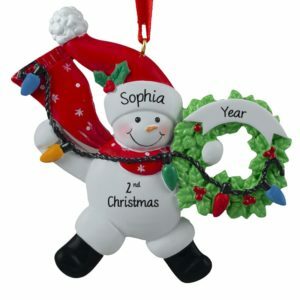 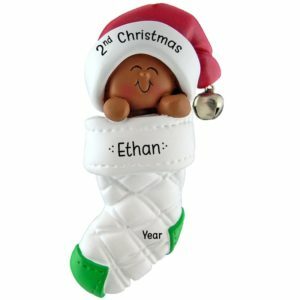 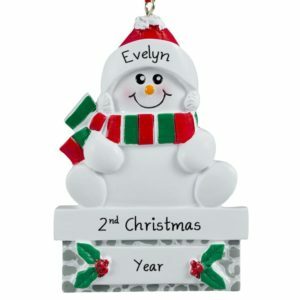 Browse our wide selection of Baby’s Second Christmas and Toddler Christmas ornaments! 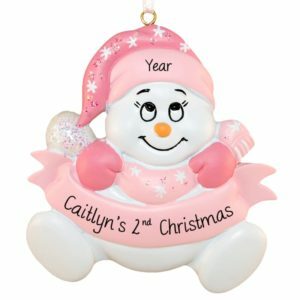 A baby’s 2nd Christmas brings about big changes. 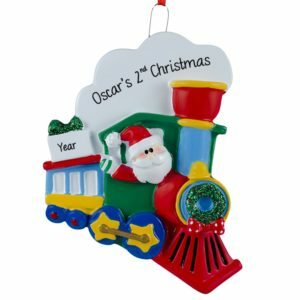 Many toddlers are beginning to walk, some can babble or talk, but most are just starting to understand that Santa brings toys! 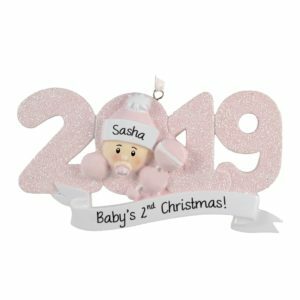 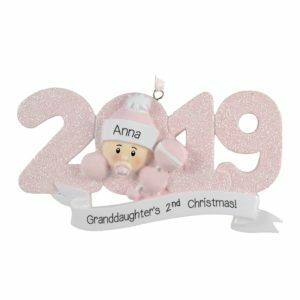 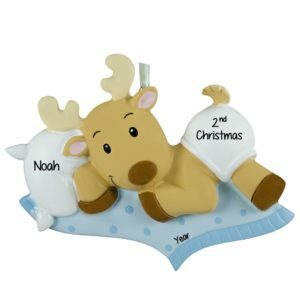 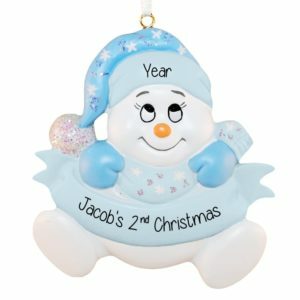 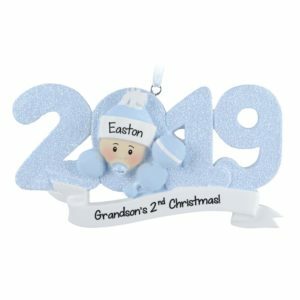 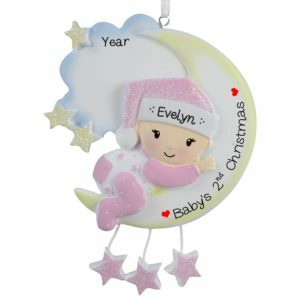 Capture the wonder & awe of a precious toddler at Christmas with one of our stylish personalized baby’s second Christmas ornaments. 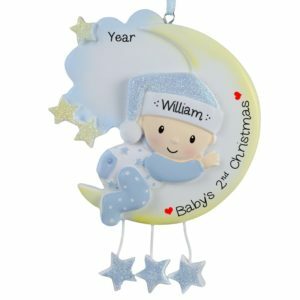 Now that your little one is becoming more independent, it’s the perfect time customize a keepsake that shows their new interests. 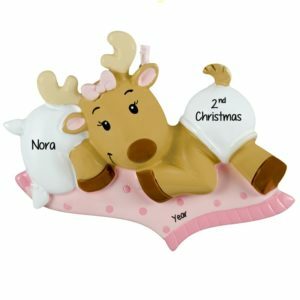 Our adorable cartoon & TV characters, toy chests, dress up and “Here comes trouble!” are some of our big sellers. 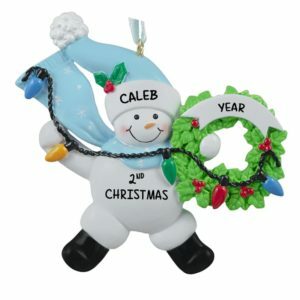 Each one of your customized Christmas tree trimmers will be lovingly hand personalized by a gifted artist. 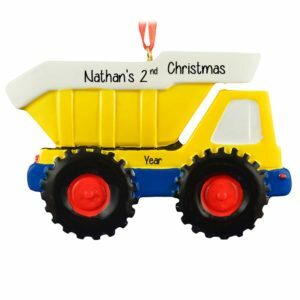 So whether you choose a pirate ship, dump truck, play phone or xylophone ornament, Personalized Ornaments For You has got you covered. 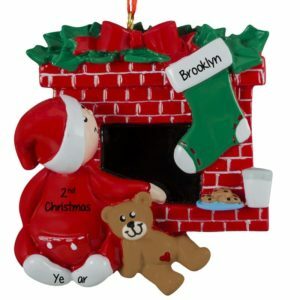 Please remember, ornaments are not toys and children under the age of 3 should not play with these items.